When John McPhee discovered these journals he found that Ethel Waxham wrote "with such wit, insight, grace, irony, compassion, sarcasm, stylistic elegance, and embracing humor that I could not resist her." Waxham was a Wellesley graduate who decided in 1905 to accept a teaching job at a one-room school in Wyoming. 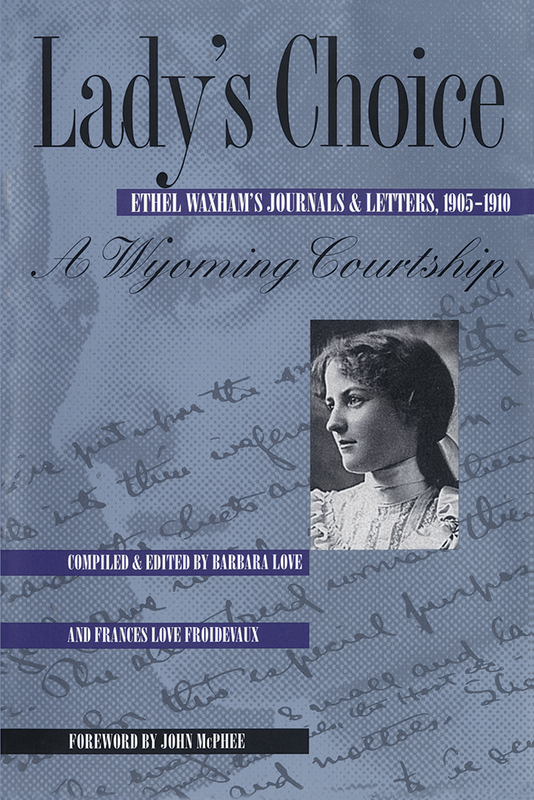 Viewers of the the PBS series "The West," in which this material was used, will enjoy this intimate look at her five-year courtship by John Love and her attempts, as well as those of her college-educated friends, to pursue higher education and a career. "These letters are among the treasures of American history, bringing to life an adventurous, quick witted woman and the laconic but determined man who wooed and won her. Together, the Loves redefine our understanding of the American Dream and what it took to win the West." --Geoffrey C. Ward and Dayton Duncan, coauthors, The West (PBS). Barbara Love and Frances Love Froidevaux are the granddaughters of Ethel Waxham Love. Both are educators.